Thank you to Lakanto for providing me with products to facilitate my blog review. All opinions are 100% my own. I follow the ketogenic diet. When preparing to start the diet, I did some research to see what products I should have on hand. It was strongly recommended to have a sugar substitute. The choices were stevia or monk fruit. I have tried stevia and didn’t really care for it. When looking into monk fruit, I found that the brand Lakanto was the highest rated. I reached out to Lakanto and they sent me a few of their products to try. 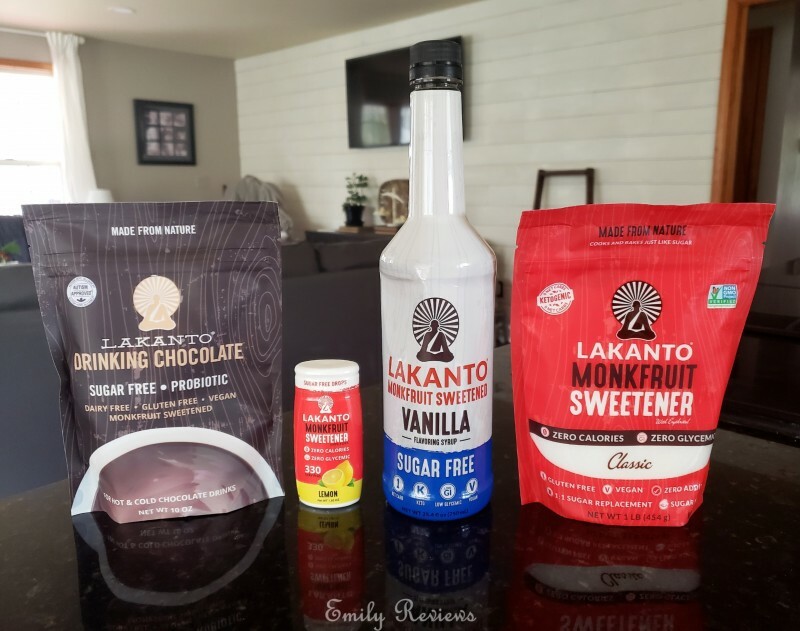 I received Lakanto’s Monkfruit 1:1 Sugar Substitute, Sugar-Free Vanilla Flavoring Syrup, Lemon Liquid Monkfruit Extract Flavor, and Sugar-Free Drinking Chocolate with Pro-Biotics. Before I start telling you about the products, let me tell you a bit about monk fruit. Monk fruit is a small tropical gourd like melon grown in Asia. The fruit was first discovered and used by Buddhist monks in the 13th century. Monk fruit sweetener is made from the fruit’s extract. It is believed to be somewhere between 150 to 200 times sweeter than traditional sugar. The extract is naturally calorie-free, has zero carbs, zero sodium, and zero fat. 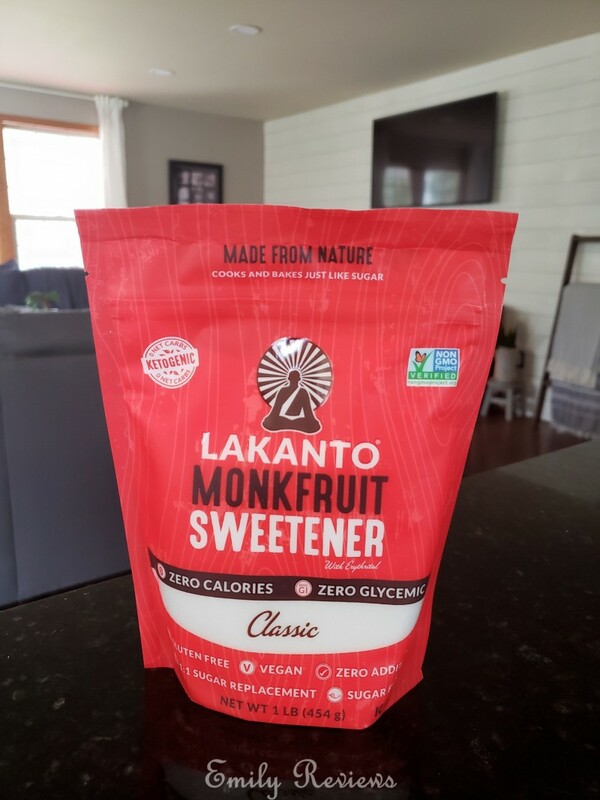 Monk fruit has zero impact on blood sugar levels making it a great sugar substitute for Keto, Diabetic, Candida, Paleo, Vegan, and Low Carb diets. 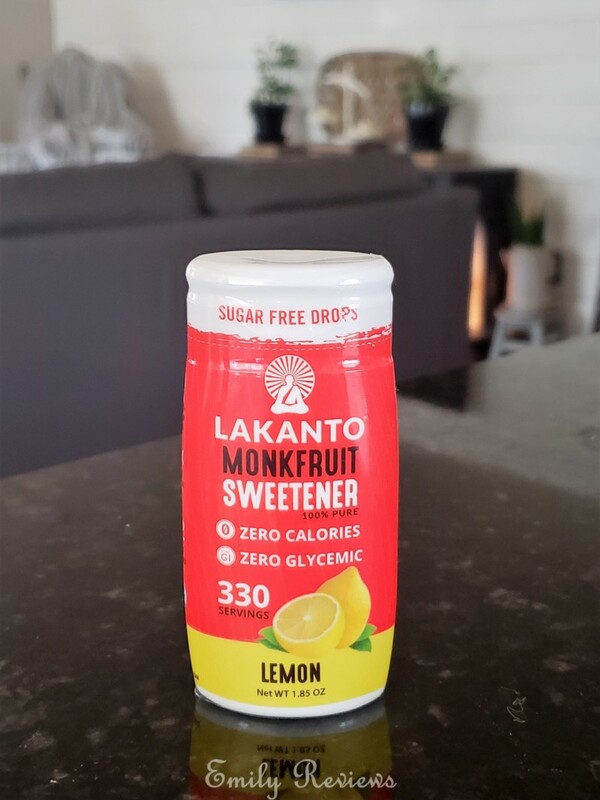 Lakanto’s Monkfruit 1:1 Sugar Substitute is a blend of mix of monk fruit and erythritol. It can be swapped for sugar in most/all situations. 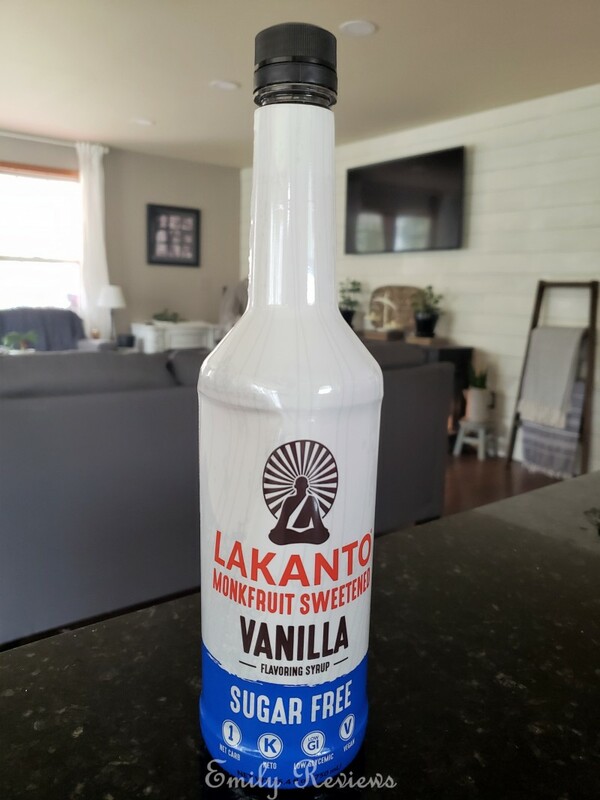 The taste of Lakanto’s Monkfruit 1:1 Sugar Substitute is AMAZING! I honestly can not tell the difference between it and traditional sugar. I love it. It doesn’t have a weird after taste or anything. If you only buy one product, this should be it. Sugar-Free Vanilla Flavoring Syrup is my coffee saver! Before starting the keto diet, I was really concerned that I wouldn’t be able to have MY coffee…I like my coffee with sugar and a good amount of creamer. Adding Sugar-Free Vanilla Flavoring Syrup with creamer to my coffee has been wonderful. I don’t feel like I am missing anything. Lemon Liquid Monkfruit Extract Flavoring is a great addition to boring water. Adding (just) two drops gives my water a lite lemonade flavor. Having Lemon Liquid Monkfruit Extract Flavoring has really helped me drink my 8+ glasses of water every day. 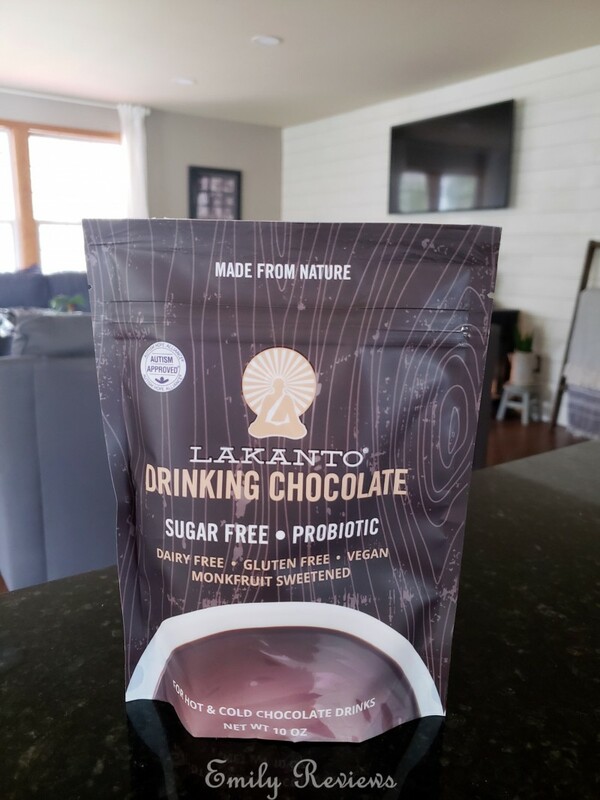 Sugar-Free Drinking Chocolate with Pro-Biotics is made with premium cocoa powder, Lakanto Monkfruit sweetener, vanilla, and high-quality probiotics. It has a rich flavor and smooth texture. Lakanto Drinking Chocolate is a great way to satisfy your sweet tooth while staying on track. I loved these products so much that I have already ordered more! Buy It: Please visit the Lakanto website to see the great selection of products they offer and convenient shopping locations. Connect: Don’t forget to follow Lakanto on Facebook, Instagram, and Pinterest for the latest product announcements and special offers. Flavor and Sugar-Free Drinking Chocolate with Pro-Biotics. This is a US giveaway and it is scheduled to end on 4/20/2019. Good luck! This looks like a great sugar substitute. Would like to try it. Thank you for this review. I am diabetic with a sweet tooth. I intend to try some of these products. Looks like a good sugar substitute. I don’t like the aftertaste from stevia. I would enjoy trying the Lemon Liquid Monkfruit Extract Flavoring. I love to have lemon flavoring in my tea or water.